Today, multiplatinum selling pop super-group New Kids On The Block drops the tongue-in-cheek new music video for their brand new track, “Boys In The Band.” Watch HERE for the most fun you’ll have all week. Directed by John Asher, the video highlights the fun new track with the band taking a new generation on a journey through the history of boy bands. 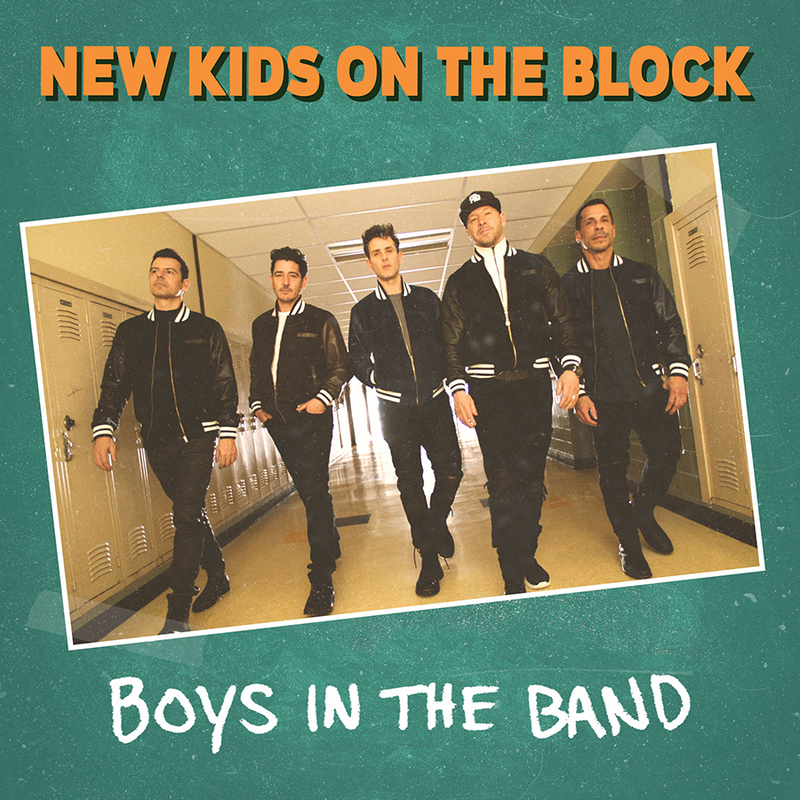 By teaming up with pop-culture music icons Lance Bass, Naughty By Nature, Debbie Gibson, & Bell Biv Devoe of New Edition –plus a special appearance by Joey McIntyre’s son Griffin – the video is a throwback in time in the most epic way possible and serves as a reminder of how much we all love irresistible boy bands, especially NKOTB. Donnie Wahlberg says of the new video: “I wrote the lyrics to the song as a homage to boy bands, but you can’t truly pay tribute to boy bands, visually, without a little self-deprecating humor. Nobody has thicker skin than boy band members”. “Boys In The Band” will be featured on the anniversary re-issue of career-defining album Hangin’ Tough on March 8, 2019 with Sony Music Entertainment. Following the special 30th anniversary release, NKOTB will embark on their epic 2019 The MixTape Tour with very special guests Salt-N-Pepa, Naughty By Nature, Debbie Gibson and Tiffany this summer.